Overland trips are a great way to see remote parts of the world. They bring you to areas that independent travellers can’t reach easily, they help you connect with fellow travellers and they are cheap. This is why this summer, I went along the Silk Road with Oasis Overland. We drove in our yellow truck from Ashgabat in Turkmenistan all the way to Xian in China, crossing desert and mountain passes, meeting locals, seeing incredible scenery and remains of ancient civilizations. Sleeping bag and air mattress are a given, since you will be camping. I highly recommend you to get good gear. Don’t try to save money here. You will use your sleeping bag and air mattress every night and the quality can make a huge difference. When buying your sleeping bag, look at the comfort temperature and think of where you’re going. My overland trip took me through Kyrgyzstan and temperatures there can drop below zero at night, so I got a sleeping bag that would keep me comfortable until -4ºC. The same goes for air mattresses. If you try to save money here, you will lose warmth through the ground and will spend your nights shivering despite your good sleeping bag. You will also feel every single tiny rock underneath your tent. Plus, good air mattresses pack up very small, so they are easy to take with you. Don’t just take a regular torch or rely on the flashlight in your phone. Imagine going to the bush in complete darkness. You will want to have both hands free. There are a lot of head torches out there but the best ones are rechargeable. That way, you don’t have to buy batteries and can save the environment. Talking about the environment. Plastic bottles pollute our planet. You might be used to recycling them at home, but recycling facilities will rarely be available in the countries you’re travelling to. Oasis Overland provides free drinking water on the truck, so I brought a reusable bottle and filled it up whenever it was empty. The bottle I use is from Platypus. These bottles fold up very flat and get smaller when they get more empty, so they don’t take up much space. Overlanding means you will not only stay on campgrounds but on beautiful spots everywhere in the country. 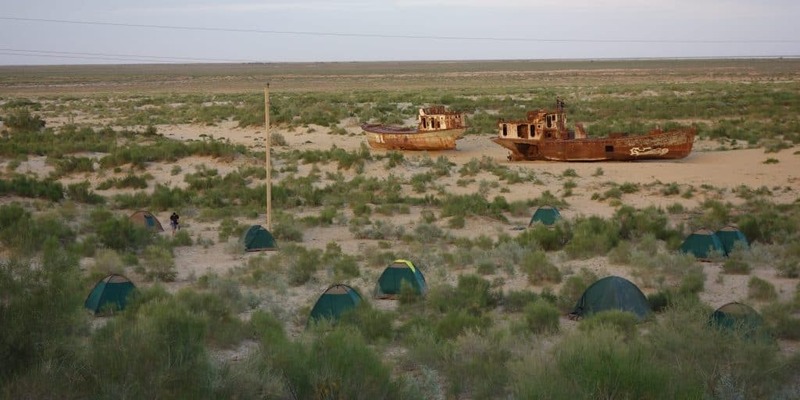 We camped next to the rusty ships on what used to be the bottom of the Aral Sea. While most camping spots are stunning, bushcamping means that you can go days without seeing a proper shower. In Kyrgyzstan, especially, I had the chance to jump into clear rivers and wash myself. Bring a bottle of biodegradable soap to use for those situations, so you don’t pollute rivers and lakes. On that note, if you have to cross long stretches of desert, you will appreciate having brought a pack of wet wipes. I brought an inflatable pillow on my overland trip, which served me fine for the first part of the trip. 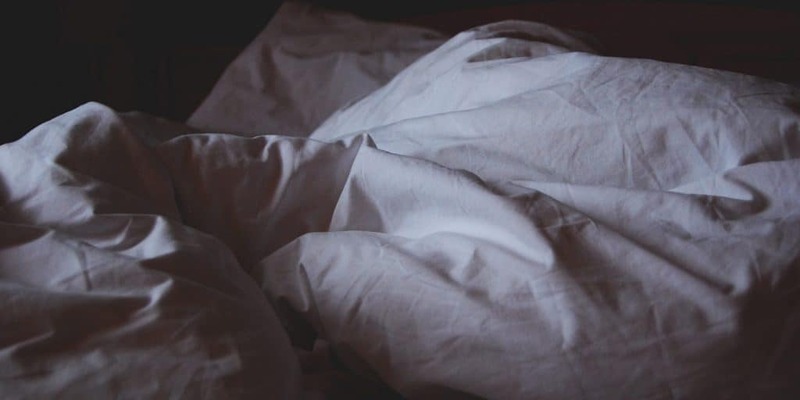 But when we crossed into Kyrgyzstan and the nights got so cold that I had to completely disappear in my sleeping bag, with only my mouth and nose not being covered, I found out that it didn’t give my neck enough support when I was lying on my side. That is why I went to a Kyrgyz bazaar and bought a proper pillow. If your overlanding company provides you with lockers large enough to fit a pillow in there, I highly recommend you bring a proper one. Oasis Overland offers travellers a chance to charge their electronic devices on the truck. Make sure you find out in advance if you need any special adaptors. For Oasis Overland, you will need one of those chargers that can be used in cars. For those times, when all the chargers are taken or when you are in a campsite, take a power bank. I recommend a capacity of at least 10.000 – 15.000 mAh so you can recharge your phone a couple of times. Remember when I mentioned going for a swim in rivers and lakes? Quick-dry towels are very useful for drying yourself afterwards. They are usually light, come in different sizes and with different textures. Shop around a bit to see which one you prefer. 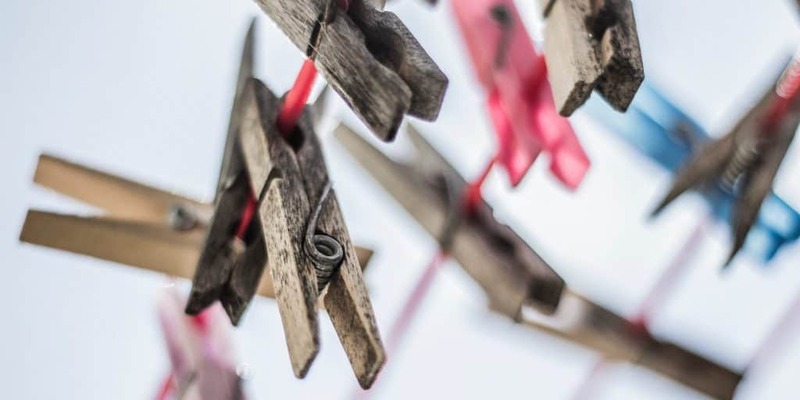 Laundry services are available at most hotels, but in certain parts of the world, like Turkmenistan or China, they can be expensive. And you won’t have access to a washing machine at all when you bushcamp. I have a clothesline from Sea to Summit that I can put up in every room or in between trees. And when I don’t use it, I can store it in a tiny bag. Also, make sure you bring enough liquid laundry detergent for handwashing. I’m using the concentrate from Trek & Travel, which is biodegradable. One of the items I wish I had brought was a head scarf. When I started, my hair wasn’t long enough to properly put it into a ponytail and I always had hair fly into my face. I love the open trucks from Oasis, but the downside is that by the end of the day, my hair was so tangled, I couldn’t brush it anymore. A head scarf helps you protect your hair and keep it knot-free. Overlanding means you’re going to spend a lot of time outside. You’ll be cooking outside, sitting around a campfire outside and you’ll have your breakfast outside. Unless you’re in the middle of the desert without any water sources nearby, there will be mosquitos. Mosquitos can not only give you malaria but also dengue fever and a couple more diseases with hard-to-pronounce names. Plus, those bites are itchy, so make sure to take enough insect repellent with you.